There’s an old saying, “Put your best foot forward.” Sometimes, however, it’s better to put your best face forward. Looking your best can give you an edge in both your professional and personal life. That can be tough to do if your face is uneven, asymmetrical, or has otherwise unbalanced features. 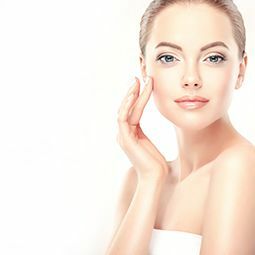 Your cheeks, chin, and jaw are especially important for creating your facial shape and profile, and to enhance those and improve your facial appearance, facial implants can work wonders. A facial implant is implanted under your skin in a precisely targeted area to change the shape of your face in the desired manner. A chin or cheek implant is designed to augment in order to improve your facial proportions in an aesthetically pleasing fashion. At Bay Area Med Aesthetics, board-certified plastic surgeons Dr. Glen Lau and Dr. Douglas Chin believe that achieving harmony is one of the most important goals of plastic surgery. Learn how a facial implant can help you by scheduling your consultation today!